We completely understand that the life of a high school student is not easy. After classes, labs, and other school activities, they don’t have much time left for parents, friends, and others who matter. The situation gets worse when they have to manage time to write a full-length dissertation, thesis, or another academic paper. That’s when they look for an alternative and make use of Essayontime.net to have enough spare time to focus their energies on something more productive. 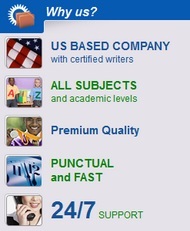 We only allow highly qualified writers with a master’s or PhD degree to work on your papers. 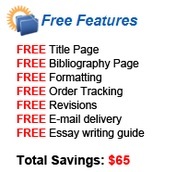 It is due to the versatility of our writers that we can help you with all your assignments, including research papers, essays, dissertations, thesis papers, book reviews, lab reports, and much more. It doesn’t matter if you need our writing services or want help understand issues presented in science coursework, English essays and mathematics problems, we’re always there to help. Even though we offer top-notch writing and tutoring services, we don’t charge you much, especially compared to what other reputable service providers make you pay for similar services. We have professional writers who have already helped so many students get good grades in school by submitting quality essays, which is the reason why our writers are now in a position to create an outline quickly and complete your paper within the specified deadline. So, contact us now or place your first order to see how our writers can create magic.